For a brief moment, the balloon seems to suspend in the air and not move at all, just as it floats through the clouds into the sunshine. The liftoff and final moments before the GoPro battery died. A longer highlight video, we tried to pick up all the points of interest. 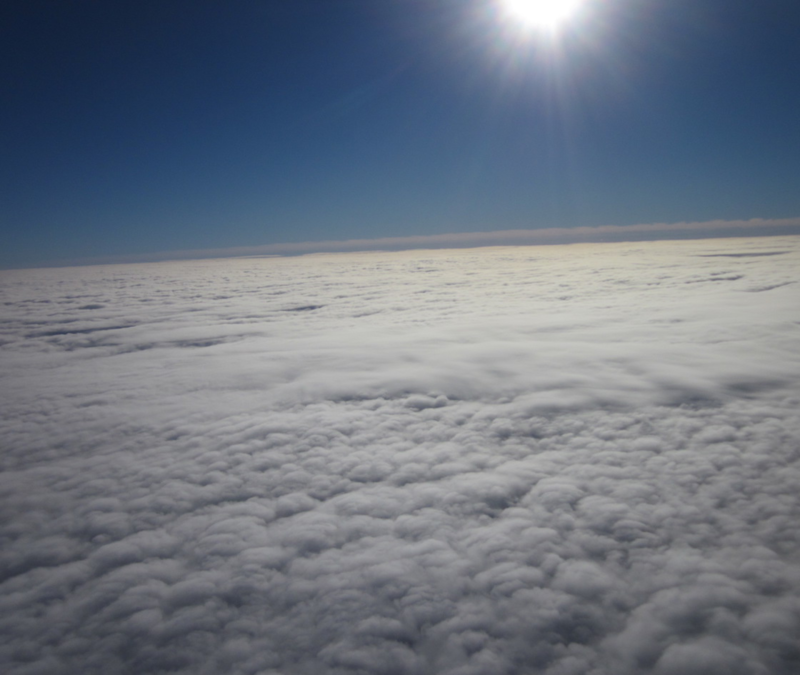 We've included the initial take off, coming through the clouds at 5k ft and the final recorded altitude of 27k ft. Unfortunately the GoPro only lasted 1 and half hours into the flight. It was overcast the day of the launch, so there was a period of flight where the cameras are in the clouds and everything is white out. Elevations are labeled periodically along the way, to provide a frame of reference.